Tell us about yourself: I'm an Army vet, in college for nursing. Currently have 1 dutch shepard puppy we found/rescued. 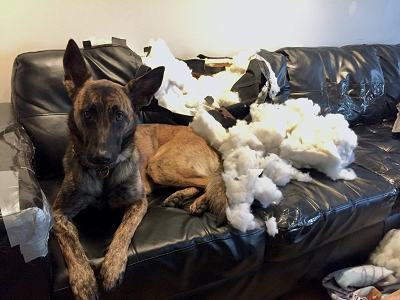 This is our Dutch shepherd, Lucky. I actually found her(she found me) on the way to class one day and we took her to the local shelter and then ended up adopting her. 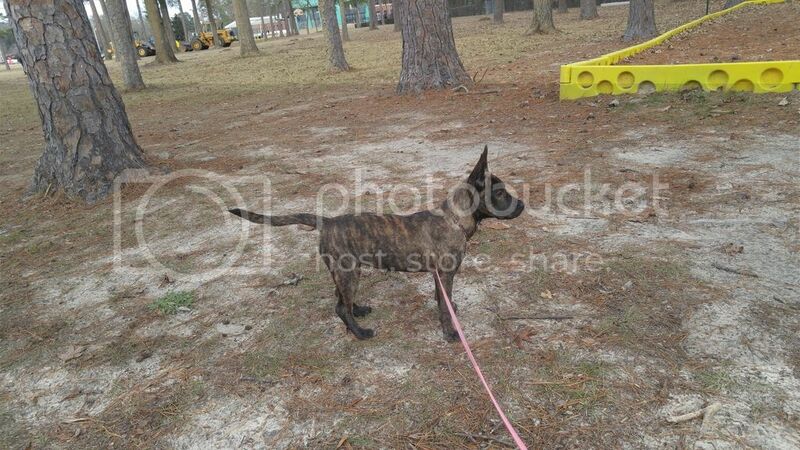 We have been told by numerous people to include our vet that she is a dutch shepherd. What do yall think? The only thing that says maybe not a DS is that the top of her head is more round than it should be. This could be an age thing or even the angle of the picture. If you could get a picture of her standing from the side it might help.